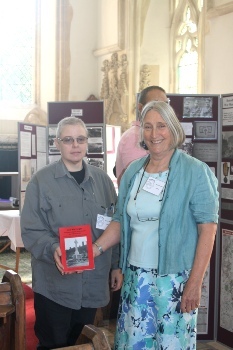 Our second “Bringing Local History Alive” day was held on Saturday 9th August 2014 in Rickinghall Inferior Church. 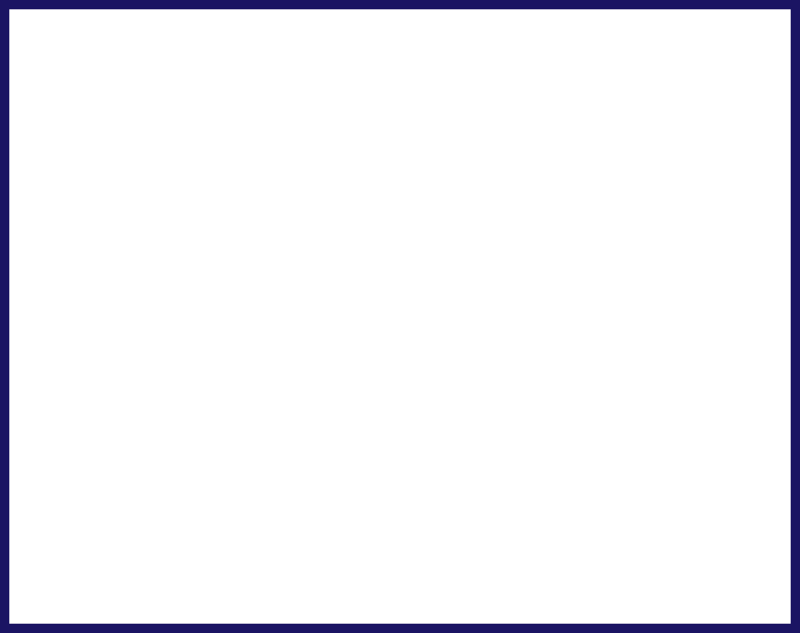 This date was chosen to coincide with the centenary commemorations of the outbreak of the First World War. 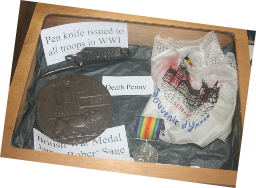 On this day we launched our ninth book in our local history series entitled Lest We Forget which is about the men of our villages who fought and died in the Great War. 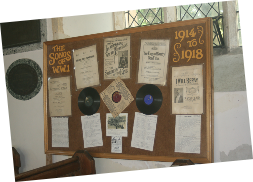 The main focus for our exhibitions of documents and displays was the two World Wars, although visitors were also able to browse through a wealth of other information about the villages. As with the first of our annual events, people came from across Suffolk and beyond. Members of Quatrefoil were on hand to talk about our research and publications. 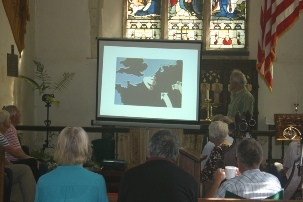 Graham Clayton also gave a talk on his ongoing research into life in our villages in the Second World War.